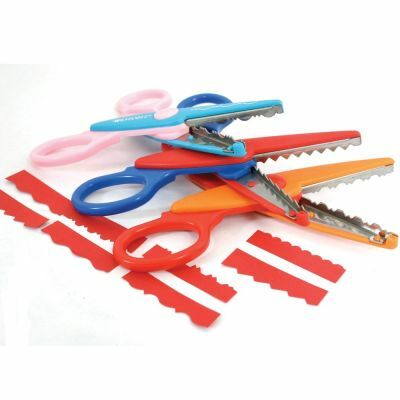 These amazing craft scissors make arts and crafts more exciting. Child safe and easy to use making them the perfect classroom accessory. Supplied in a handy box for clean, tidy storage. Includes 24 scissors 2 each of 12 designs.